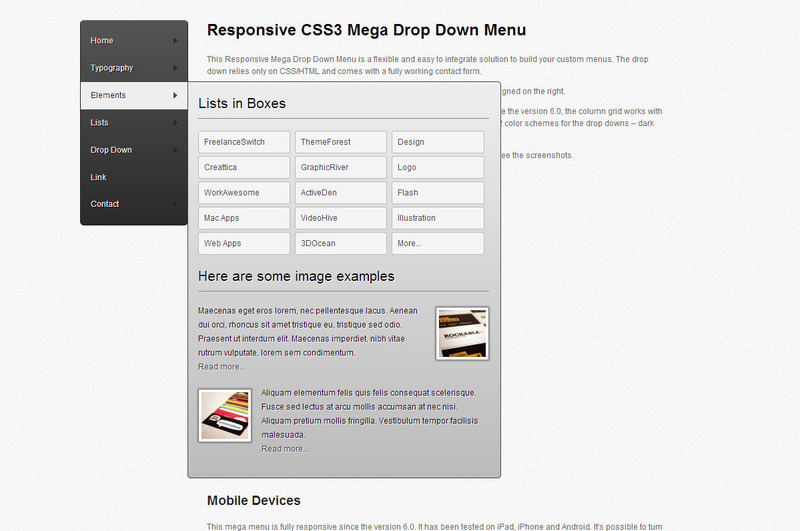 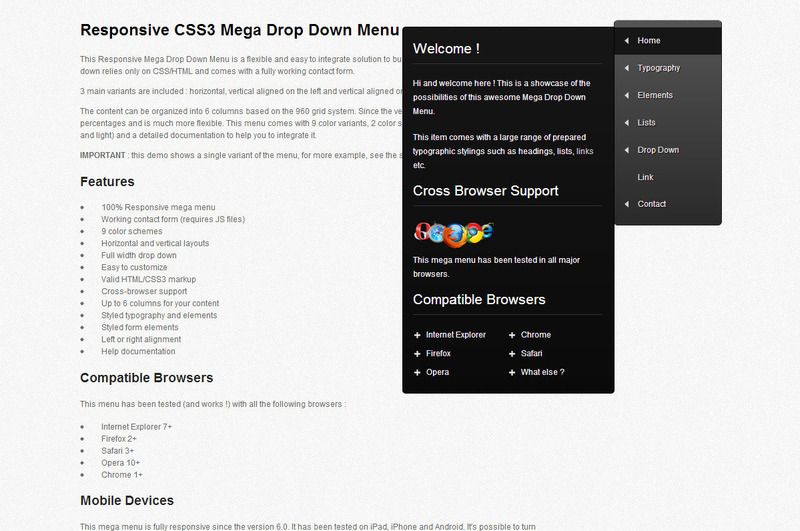 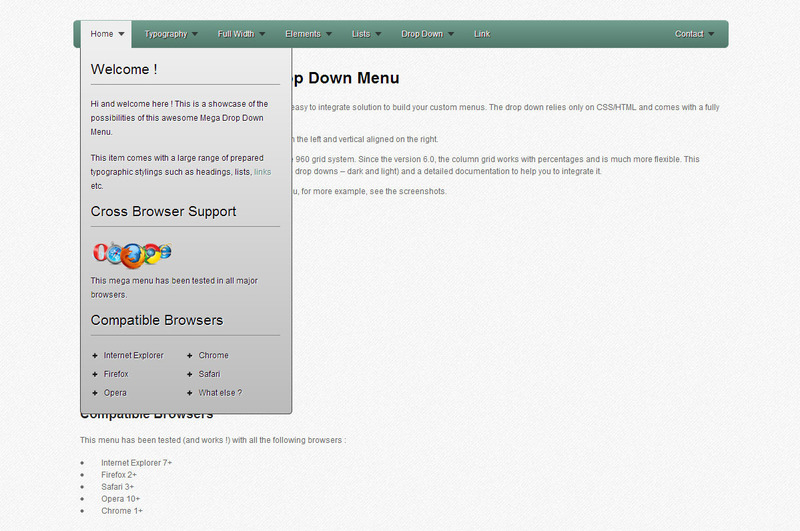 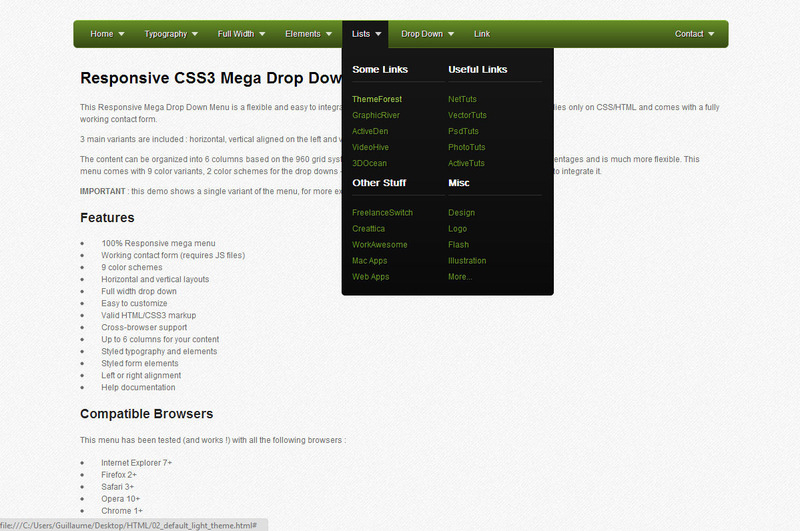 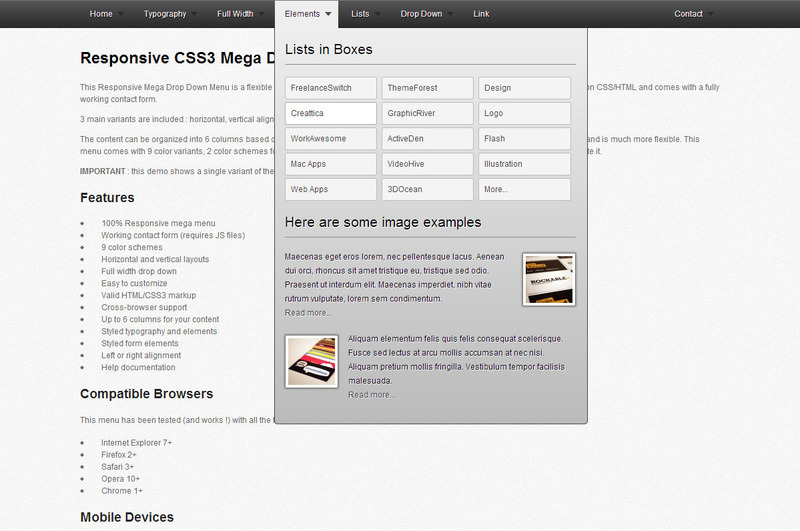 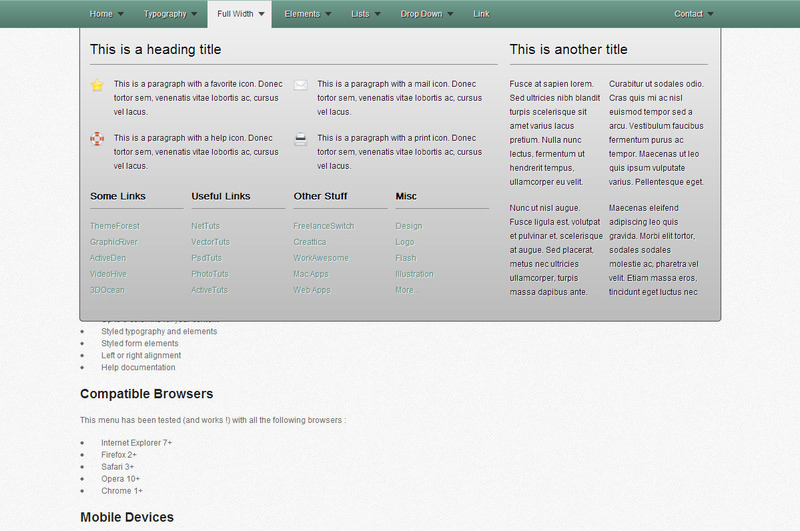 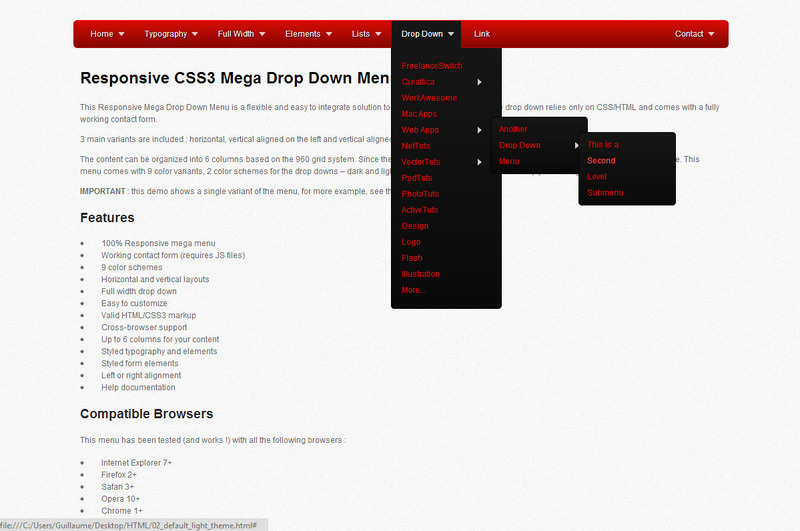 This Mega Drop Down Menu is a flexible and easy to integrate solution to build your custom menus. 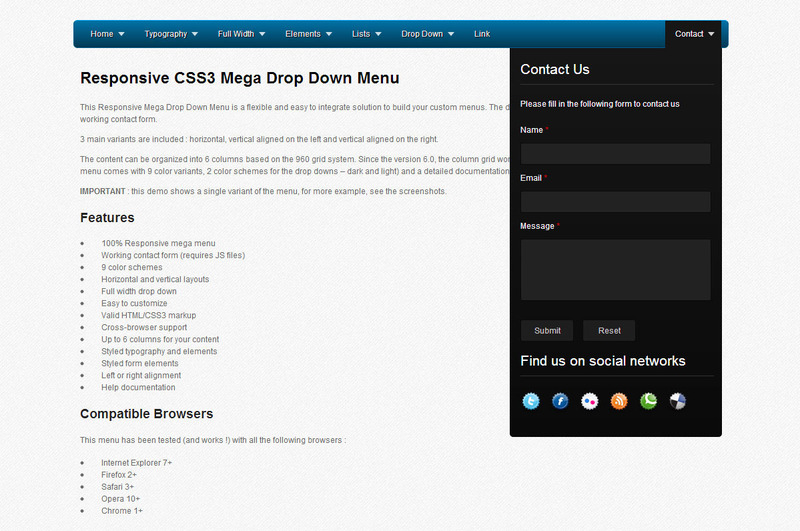 The drop down relies only on CSS/XHTML and comes with a fully working contact form. 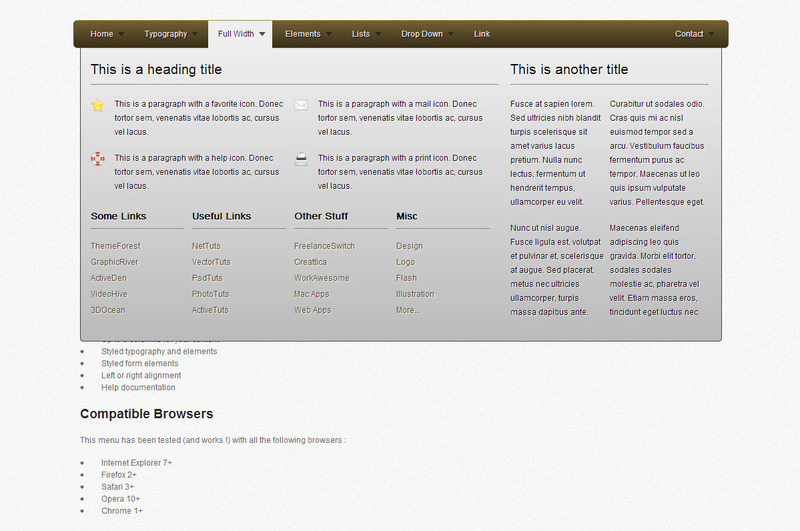 3 main variants are included : horizontal, vertical aligned on the left and vertical aligned on the right. 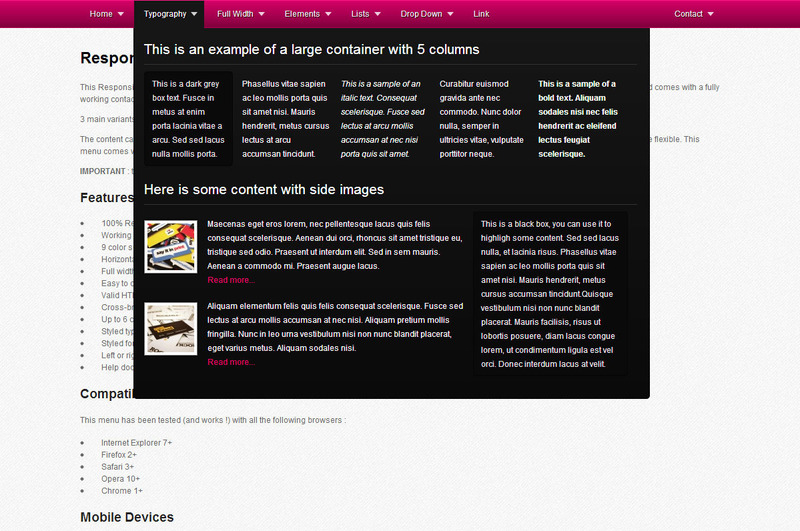 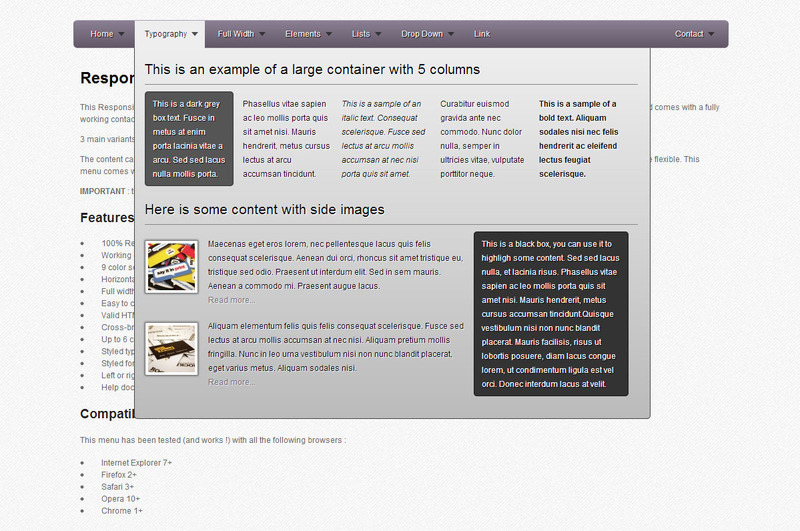 The content can be organized into 6 columns based on the 960 grid system. 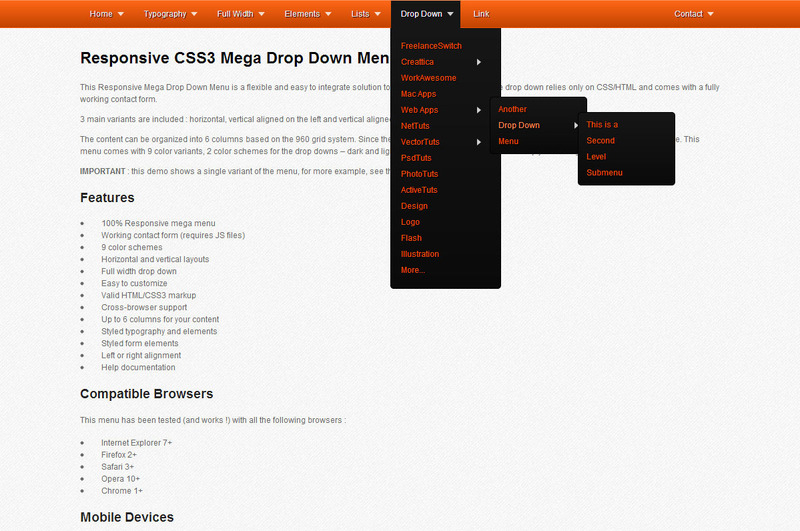 This item comes with 9 color variants (and 2 color schemes for the drop downs – dark and light) and a detailed documentation to help you to customize it.